No matter what kind of yard work you are offering, you'll be sure to catch the eyes of homeowners with this clever flyer. 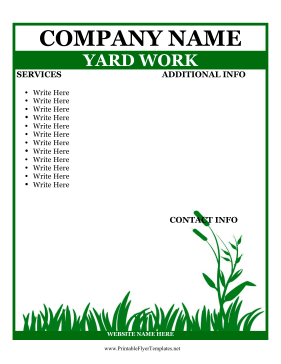 A green border and a line of grass suggest to potential customers the nature of your business. The bulleted list of your services will really get them interested. Be sure to include your contact info!